Opticians don’t just sell glasses, they perform an important role in spotting potential problems that need to be referred to a doctor. In a case on point, a schoolboy who was left almost blind after an optician failed to detect a benign brain tumour won almost £500,000 in compensation. The teenager was suffering from a craniopharyngioma, a rare type of tumour most commonly found in children. 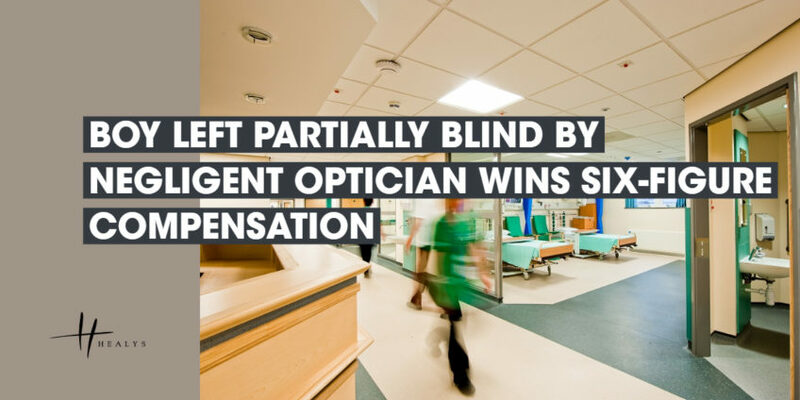 However, diagnosis was delayed by up to six months after an optician failed to refer him for further tests following a check-up. Despite a gruelling course of treatment, his vision deteriorated and he was left blind in one eye and partially blind in the other. Personal injury proceedings were launched on the boy’s behalf against the company for which the optician worked on the ground that, but for the delay, more of his sight could have been saved. Had he received prompt treatment, he would, amongst other things, have been able to read without Braille and to more easily recognise faces. The company admitted breach of duty and apologised to the boy and his family. It disputed whether his condition would have been any better had he been treated earlier, but nevertheless agreed to settle his claim for £480,265. The High Court approved the settlement.